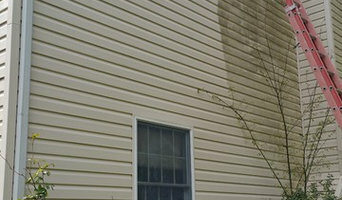 Affordable Painting and Power Washing, LLC was established in the Washington DC Metropolitan area now also offering services in Georgia and surronding cities. With more than 40 years combined experience, we are a family owned, licensed, insured and bonded company. Mid-Atlantic Power Washing, Inc. was started in 2001 by Robert Hardesty. Robert started as a one man company working from his home is Southern Maryland. Since that time the business has grown tremendously. We now are operating out of our shop in Annapolis, Maryland, cleaning many of your Residential, Commercial and Marine needs. 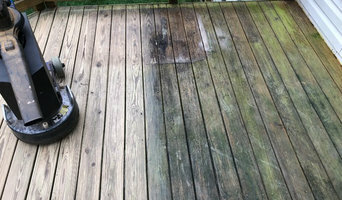 At Mid-Atlantic Power Washing, we are very dedicated to our work and we strive for excellence. You will find that all of our employees are courteous, friendly and professional. For your protection and ours, we are licensed and insured. Please contact our office at 410-266-6866 or 410-867-1100 for a FREE estimate. You may also send us an email with your name, address, contact number and scope of the job you would like us to complete. Have you ever had that moment where you wish you could just figure something out? Well, before you have your next home improvement meltdown, give John Luckett a call! I am a licensed, bonded, insured contractor with more than a decade of experience. We specialize in power washing decks, houses(siding), bricks and much, much more! So, if you need a helping hand, don't be afraid to reach out to the handyman! The power of curb appeal isn’t a myth — the exterior of your Crofton home is the very first thing visitors, neighbors and prospective buyers see, and people assume that if the outside of your home is not in great shape, neither is the interior. This can drastically affect your property value as well as incur the irritation of your neighbors, so if your house facade is looking like it could use some attention, consider hiring an exterior cleaner in Crofton, MD. What do Crofton, MD exterior cleaners do? 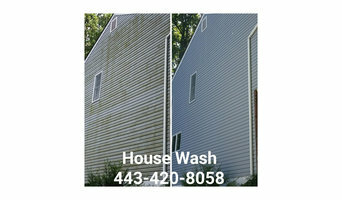 Find exterior cleaners in Crofton, MD on Houzz. 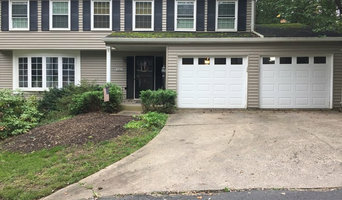 Search the Professionals section for Crofton, MD exterior cleaners or browse photos of completed projects and look for the exterior maintenance professional’s contact information.